Bridget started in a Montessori daycare within her first few months of life. Before we knew that our fragile daughter would soon become a ‘special’ child. Transitioning at age three to an integrated preschool was difficult. She was nurtured at Montessori, they accepted her for where she was at her developmental age and they encouraged her growth. There were no labels, there were no educational plans or processes. She was just Bridget. I was so nervous the first day of preschool. I felt like I was leaving my baby, the one who had so many struggles, in a cold classroom. I wasn’t ready. She was, thankfully, more than ready to spread her wings. She was barely off her pediatric walker, was using ASL and had three verbal words. Within in the first months her preschool teacher (who will one day be sainted) approached us about special education. She did it with kindness and grace. Told us what we needed to hear and offered solutions. 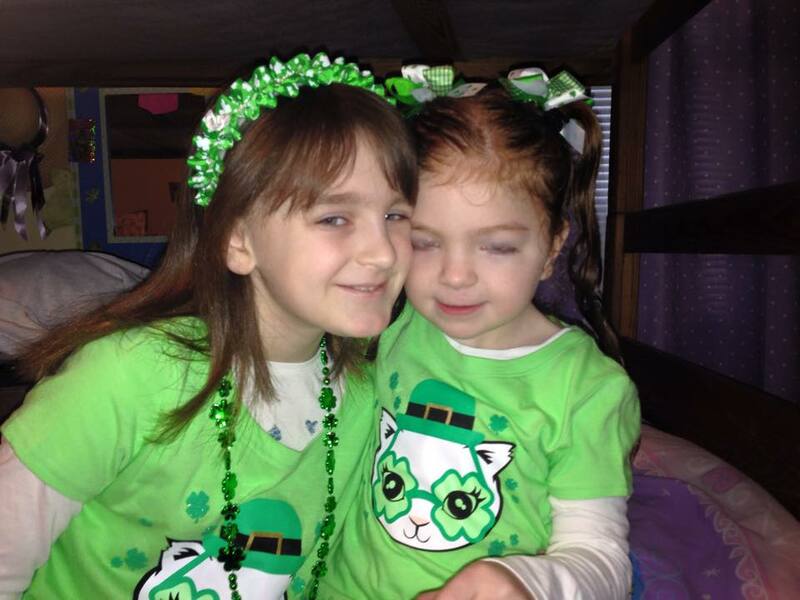 Bridget continued in the preschool and began doing a dedicated special education program in the afternoons. She began to talk (now shouts), walk (now jumps) and became engaged in the classroom. She has friends. 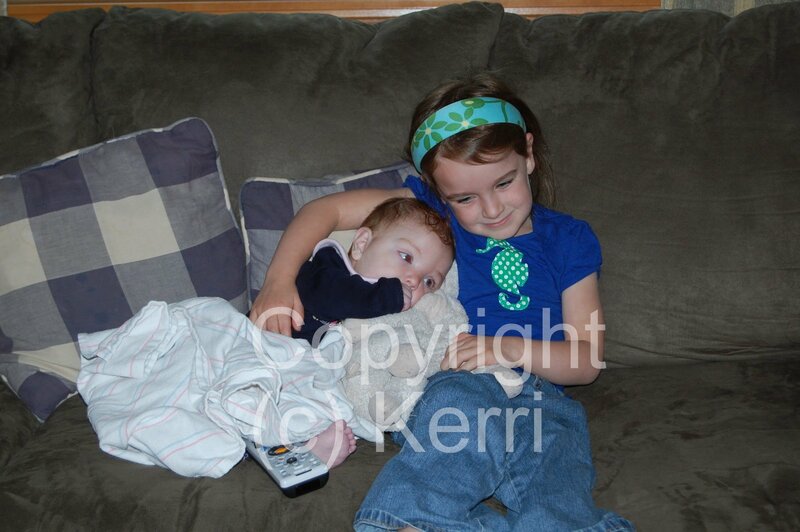 Friends that include her not because they have to but because she is Bridget, their friend from school. Last spring we questioned kindergarten. I felt that although age-wise she qualified, developmental-wise there was no way she could transition. Her team, which includes the best preschool teacher, superior SPED teacher and educational support personnel (it should be exceptional support personnel) agreed. I believe there was one of them who said, hell no she isn’t going to kindergarten. We received a stay of execution. We were allowed to remain in a class where Bridget is so loved and known. I was asked why I hadn’t returned the kindergarten registration forms. Truthfully I hadn’t given a thought to next year. We have a meeting scheduled for this spring to discuss next year’s placement. I thought I had at least another month before I had to figure out our next step. I want Bridget to go to kindergarten. I know she cannot stay in preschool until her teacher retires twenty years from now. Truthfully I am not ready and I am terrified. I do not know who will be her new teacher. I do not know if her teacher will have that same spirit and thoughtfulness. This will be the first time in four years that Bridget will be in a classroom that is not fully integrated (50/50 ratio). I am terrified she will be one of 18 in a class who will need every lesson modified. I am anxious that the teacher will not laugh with me when I refuse to do the take the class teddy bear home project and hand it right back to her. She will not pass a kindergarten screening. I understand that. I understand that she is not the typical 5-6 year old entering into kindergarten and that she will not be a typical 12 year old entering sixth grade. The school knows that as well. So why am I given the form? Why couldn’t they just say, Kerri fill out a one line form saying that Bridget will be attending school next year. That we know she is on an IEP and will be in some form of classroom/special education program but we still have to work out the particulars. It might be kindergarten, but it might be some other conceptual classroom where she can flourish. That they understand the reason why Bridget has done so well is her teachers no longer need an interpreter but understand what she is trying to convey. Something the new teacher will need to learn. I know it wasn’t intentional. I get that there are boxes to be checked and a process to go through for the school. I just wish that it wasn’t so difficult. I wish I wasn’t so worried or that I feel nauseous that we are leaving a loving preschool program. That I have to be reminded, in black and white on a form, that my daughter will never be typical. I freaking tired (probably because I was up to midnight playing Scrabble) but I hate these forms. I hate that they ask my date of birth (unless they are sending me a gift card on my birthday for Flynn’s, then okay). I hate that they ask me what kind of SPED program she needs (776 or Title 1). I’m sure I should know that information, but I don’t. I just know that whatever SPED program she is in is working so don’t change it. I even hate the home language survey. When asked if I require written information in my home language I said yes, doesn’t everyone? When asked who to contact in an emergency I wanted to write 911 (but controlled myself). These forms don’t take into account who Bridget is, the milestones that she works so hard to accomplish. That this week David laughed and she said: “What funny dad”. She connected laughter with funny and we rejoiced. That isn’t on a school form. It shouldn’t be, in all honesty. I just wish we were able to give a clearer picture of who she is and what barriers she might decimate. That yes she will impact your classroom and your fellow students, but she will also enhance the class in ways you cannot comprehend. I keep forgetting that life with Bridget will never be smooth sailing. That there will be moments like this, a kindergarten registration form, that will make me holding onto the rail and wanting to invest in motion sickness pills. Thankfully those moments are balanced when my heart will explode with laughter as she puts her hands on her hips and sings alone with Elsa. When she tells Abby she wants a dance party and I hear them playing together. Something I never imagined just two years ago. Then I remind myself she is more than a form and I won’t let that kindergarten registration form diminish who she is in my mind or my heart. This entry was posted in Bridget, school, Special education and tagged acceptance, IEP, kindergarten, special education on March 17, 2015 by firebailey. Ugh Kerri, I am so sorry you have to deal with stupid forms that don’t even come close to showing how freaking AMAZING your Bridget is. I hate those kinds of forms too, and for me it was the stupid Presidential Fitness forms in gym class, the ones that said that “normal” kids my age should be able to run an 8-minute mile and do the shuttle run in X number of seconds or be THIS amount flexible, and heck, there are some days when I can hardly stay upright on my own two feet, let alone RUN. I wish we could have a huge bonfire and that we could just burn all of those ridiculous forms and standards together. I know they exist for a reason, but they hurt sometimes. It hurts to see “YOU ARE NOT TYPICAL” spelled out in letters and standards on a piece of paper and it’s so easy to take that and let it tear apart your insides. I love that you recognize, though, that it doesn’t really matter whether Bridget can hold a pencil or say all her ABC’s…she’s tackling life at her own pace and she is rocking it! Yeah, her life isn’t smooth sailing and she deals with way more challenges than other kids her age, but how cool is it that she dances with her sister and puts her toes in the sand and sings along with Elsa and laughs with her dad and you get to appreciate just how amazing these moments are…all of these moments that most people take for granted. Thank you, my friend. I agree the forms exist for a reason and at some point I hope I get immune. No, wait, I don’t want to be immune because I want to continue to show them what a rock star she is 🙂 Thanks for that! Oh Kerri… my heart just hurts reading this!! I can only imagine how complicated and frightening it would be to even THINK about moving that sweetie pie to Kindergarten- all with a new teacher and kids and the entire experience just so overwhelming! Oh hun… you are so strong, and you know exactly what is needed for Bridgett!! It will never be easy… but you can and you will do it all, for your girl. You’ll take those scary faithful steps into the turns of growing and aging and adjust the expectations and parameters as need be. Thank you, Chris, those prayers are more than appreciated! I know in my head it will be okay it’s just the heart that gets bruised now and again. I realize that she has come and will continue to go so much farther than I imagine. That she needs to move out of the comfort zone so she can fly. I just worry about the gusty winds. Your kindergarten form sound much more detailed than ours! But then again – it’s Massachusetts, not Georgia (I think we rank 48th nationally? LOL – not). I get it. You know I do. I recently had to fill out all the scales again for Barrett, to update his psychological exam for the state. It was so tedious and a slap in the face. It was aggravating to have to answer all the preschool questions, for my 14 year-old. And they wouldn’t except the forms unless every question was answered. What I can tell you – is down the line, these forms will show you – in black and white, how far you child has come. I was grateful to finally have some yeses to check, quite a few actually. Hang in there. I have faith that you will have a good experience. 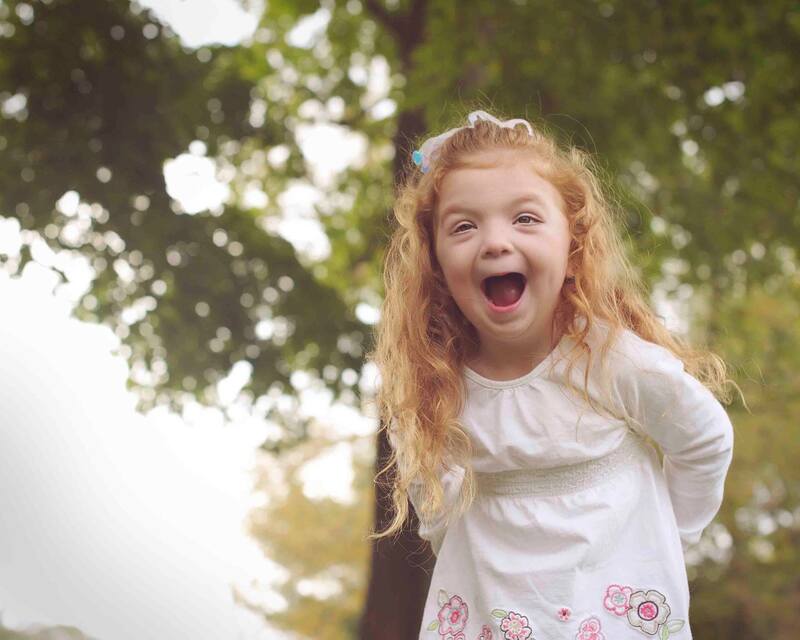 It sounds like you have an amazing team fighting for Bridget – and she has you:)! YES!!! A slap in the face. They KNOW Bridget so I think they could have just left out those pamphlets. Show just a little bit of thought about what you put in the packet. There are only 3 children like her transitioning next year in the pre-K. Could they not have realized that maybe the three moms didn’t need to see the checklist? I don’t know if this is helpful at ALL but Tucker failed ALL of the kindergarten tests when entering. Like all of them. But. He got it. The peers and the teachers and the pull-outs. Not that he knows what he’s supposed to know entering kindergarten but he now knows that his last name is Campbell and he now knows letters and talks so much more. The kids in kindergarten hae been amazing for him. But, you KNOW BEST. Always always. Keep her there if she needs it. We’d have kept Tucker back (or tried to) if he wasn’t so huge, physically. He’s still taller than his classmates, one of the youngest, and definitely the most behind. But it works, anyway. Now when it comes to next year? And after that? Well &*(%%$$$. Yes, it is stomach clenching. I know the school will not let her down (because I will not let them) I just am keeping my fingers crossed at this point. How cool that Tucker knows his last name and letters. That is freaking incredible! HA! I had read that one and forgotten it. Thanks for the chuckle! I think all of us moms have looked at these forms and thought are you freaking kidding me?? ?